Floating RNLI Station Waterloo Pier, Embankment, London – Duncan Clark & Beckett – RIBA Chartered Architects Colchester, Essex. 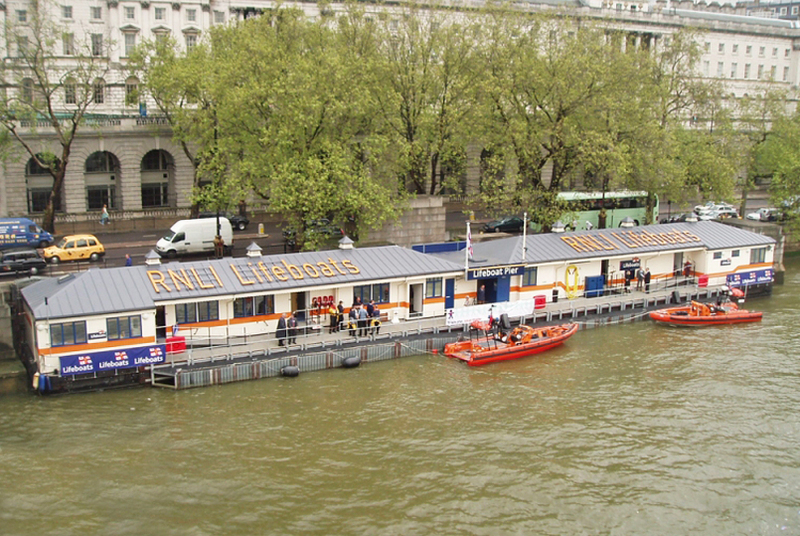 Renovation of a vacant floating police station – a 100 year old barge with an iron hull and a timber framed superstructure – to form a new twenty-four-hour Lifeboat station at Waterloo. The barge was floated down the Thames to a dry dock in Greenwich where the timber frame building was gutted and the hull repaired and repainted. It was then taken back up the Thames and fixed back to its moorings where works were completed. The station is one of the RNLI’s busiest in the country.